When it comes to developing useful solutions for real world problems, learning is always at the heart of innovation. Last week there were lessons for everyone, including the Aspire team, when students from Hempfield High School’s gifted program visited Aspire’s venture lab in Lancaster on Friday, April 22. Students from grades 9 through 12 joined us for the day to learn about our design and development process by participating in a mini concepting sprint, where they gained new strategies for solving problems. Our Entrepreneur in Residence Mike Monteiro helped the students hone in on a real world problem, and then led them through the sprint process to design a solution. We chose a problem question that all of the students could relate to: how can we make standardized testing better? With that question, students zeroed in what they saw as the biggest problem with SAT preparation: anxiety. With such a large test, and with the stakes so high, students said it was easy to become overwhelmed with anxiety, and that had negative impacts on their performance. 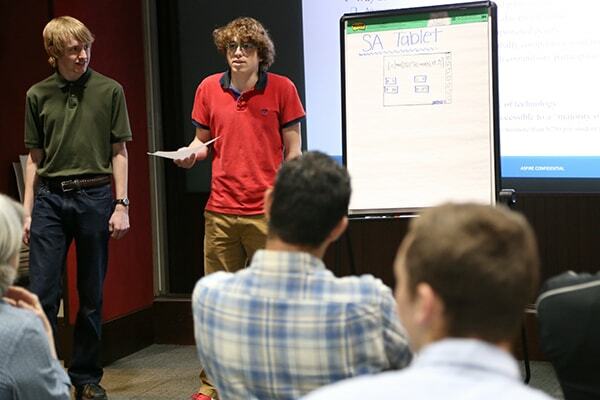 To solve that problem, three student teams created concept products that would help reduce SAT anxiety, and then presented their solutions to a panel of Aspire experts. Although they all addressed the same core problem, they all came up with very different solutions. 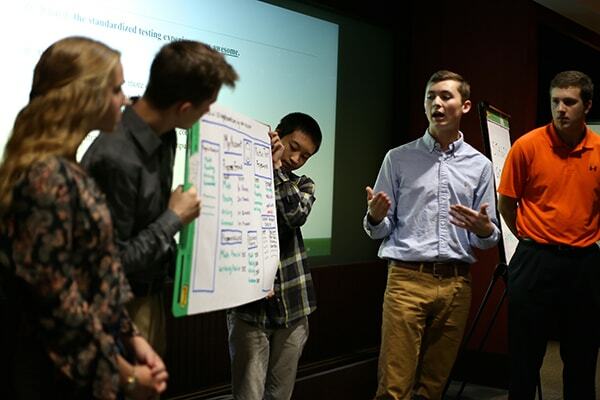 The first team developed a web portal solution with a strong focus on online forums in partnership with college boards to monitor and reinforce how much students practice for the test. The second team developed a mobile app solution that broke up pretests into micro tests that were easier to manage. And the third team came up with a hardware solution called the SATablet, a school-owned tablet strictly for SAT preparation practice tests. 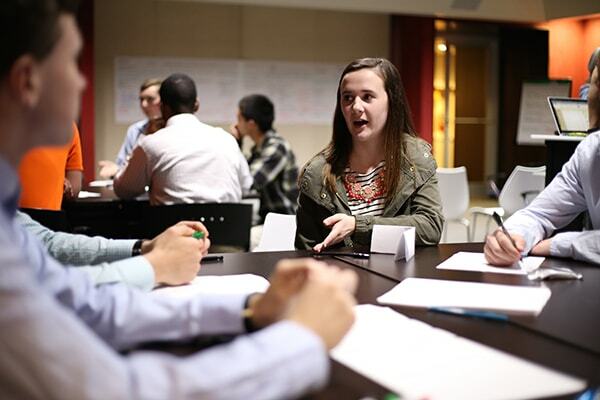 While students got a first-hand experience of how high-tech companies operate, Aspire also gained valuable insights into ways we can change the sprint process. At Aspire we’re always on the lookout for ways to improve our methods, and this exercise gave us a chance to see what works and what doesn’t work when you condense a sprint into a four-hour period. Brainstorming together with students turned out to be an excellent way of not only donating our time, but also an interesting way to refine our own business.